We have all kinds of drawings for you to learn to draw and color, such as anime, animals, flowers and much more! - Choose a drawing of your liking. - Follow and draw step by step and fill in colors after you finished drawing. - DONE! And don’t forget to SHARE your amazing works to your friends! 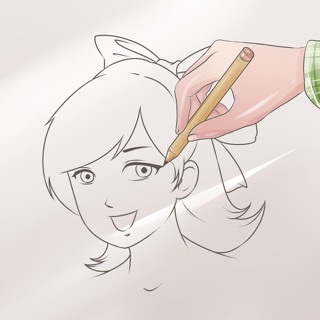 - Seamless animations showing you how to draw step by step. - Tons of awesome drawings created by our artists, updated regularly! - Amazing tools! You can even use our GLOWING pens to create your unique glowing artworks! 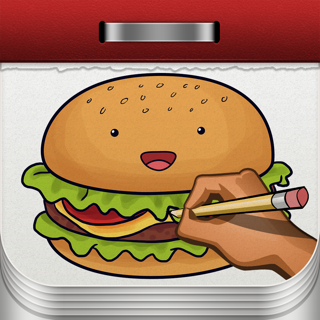 - Coloring mode for you to practice your coloring skills. - Auto generated video of your drawing & coloring process! - Draw.ai can be accessed for free. Free users have access to all the free content. The free version of Draw.ai may have interstitial, banner, and native Ads. - You can purchase a weekly, monthly or annual subscription to unlock all content and remove Ads. Subscription to all features and content is offered within the App. - Both free and subscriber only content is updated regularly. - You can subscribe to an annual plan ($49.99 billed annually), a monthly plan ($7.99 billed once a month) or a weekly plan that comes with a free 3-day trial ($4.99 billed once a week after the free trial expires). The prices are in US dollars. Pricing in other countries may vary and actual charges may be converted to your local currency depending on the country of residence. - Subscriptions may be managed by the user and auto renewal may be turned off by going to the user’s Account Setting after purchase. You can turn off the auto-renew for the subscription whenever you want to through iTunes. Check https://support.apple.com/HT202039 . When your current trial/subscription period expires, you will be unsubscribed. The current active subscription period cannot be canceled. After your subscription expires, you will no longer be able to use content marked as Premium. If you have any questions or comments, feel free to contact us at color.app.feedback@hotmail.com, and make sure to include iOS Draw.ai in the E-mail title. - Added Themes feature. You can find what you love to draw more easily! - You can share video now! Show them how you draw! This app is amazing truly! This is 1. Supper duper relaxing and it calms me down 2. This is a really good app in general and if I keep up worth this app it would possibly help with my traditional art! Keep up the great work! Happy thanksgiving also!